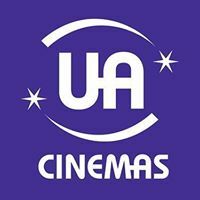 Subscribe to get deals from hundreds of merchants including the best of UA Cinemas! Do not apply to the JCB PLATINUM Card.. Offers can be used together. UnionPay Dual Currency PLATINUM Credit Cardholders can enjoy the discount at the box office only.. The discount does not apply to preview shows, special shows, movies that have a special engagement with the film distributors, bulk purchases, or house bookings and cannot be used in conjunction with other promotional offers.. The discounted ticket prices will be rounded up to the nearest Hong Kong dollar. The minimum discounted ticket price is HK$45 (2D movie ticket)/HK$60 (3D movie ticket)/HK$70 (IMAX 2D, Atmos 2D, and D-BOX 2D version movie tickets)/HK$80 (IMAX 3D, Atmos 3D, and D-BOX 3D version movie tickets).. The discount does not apply to the service charge for orders made via website or mobile application.. Please always check with the merchant on the validity of the promotion before purchase. Do not apply to the JCB PLATINUM Card. UnionPay Dual Currency PLATINUM Credit Cardholders can enjoy the discount at the box office only. The discount does not apply to preview shows, special shows, movies that have a special engagement with the film distributors, bulk purchases, or house bookings and cannot be used in conjunction with other promotional offers. The discounted ticket prices will be rounded up to the nearest Hong Kong dollar. The minimum discounted ticket price is HK$45 (2D movie ticket)/HK$60 (3D movie ticket)/HK$70 (IMAX 2D, Atmos 2D, and D-BOX 2D version movie tickets)/HK$80 (IMAX 3D, Atmos 3D, and D-BOX 3D version movie tickets). The discount does not apply to the service charge for orders made via website or mobile application. Do not apply to the JCB PLATINUM Card.. Offers can be used together. . Please always check with the merchant on the validity of the promotion before purchase. Do not apply to the JCB PLATINUM Card.. Offers can be used together. Cardholders are required to present a valid Hong Kong full-time student ID card and settle any related payments in full with a University/College Student Credit Card to enjoy the offer.. The offer applies at all UA Cinemas box offices in Hong Kong.. Cardholders can purchase one 32oz popcorn coupon at HK$28 for every movie ticket purchased.. Each popcorn coupon can be redeemed at any UA Cinemas concession counter in Hong Kong from Monday to Friday (except public holidays) by the cardholders for a 32oz popcorn.. Use of the popcorn coupon is bound by terms and conditions. Please refer to the back of the popcorn coupon for details. . Please always check with the merchant on the validity of the promotion before purchase. Cardholders are required to present a valid Hong Kong full-time student ID card and settle any related payments in full with a University/College Student Credit Card to enjoy the offer. The offer applies at all UA Cinemas box offices in Hong Kong. Cardholders can purchase one 32oz popcorn coupon at HK$28 for every movie ticket purchased. Each popcorn coupon can be redeemed at any UA Cinemas concession counter in Hong Kong from Monday to Friday (except public holidays) by the cardholders for a 32oz popcorn. Offer is applicable to tickets purchased at cinema box office only, except specific promotional offers. Mobile apps / online / telephone ticketing / bulk purchase and house booking are not accepted Offer is not applicable on Tuesday, Saturday, Sunday and public holiday. Offer is not applicable in all VIP houses (including Director's Club at UA Cityplaza, Phoenix Club at UA iSQUARE) and UA Galaxy Cinemas. Offer is not applicable to specified movies and D-Box movies Discounted price shall be rounded up if there is any decimal point. Offer is applicable to regular-priced tickets only and cannot be used in conjunction with other offers (including morning shows / first shows / Tuesday shows), discounts or cash vouchers. Offer is applicable to 2D and 3D movies, excluding IMAX movies, Atmos movies, preview shows, special shows and movies with special engagements with film distributors and specified movies. All discounts shall be based on individual ticket. Price per ticket should not be lower than HKD45 for 2D movies and HKD60 for 3D movies after the discount.. . Please always check with the merchant on the validity of the promotion before purchase.